Awaken your senses with Neutrogena Rainbath Refreshing Shower and Bath Gel, featuring the original fragrance blend of spices, fruits, and herbs. This best-selling shower and bath gel softens and conditions skin without leaving behind heavy residue. The rich, moisturizing lather of this cleansing shower gel rinses clean and helps leave skin feeling softer, smoother, and refreshed. You can smooth it on your body using moistened hands, a puff, or a washcloth, or you can add it to your bath or use it as a skin-smoothing shaving gel. Turn your ordinary shower in a pampering spa experience! Ingredients: Water, sodium laureth sulfate, cocamidopropyl betaine, sodium chloride, fragrance, polysorbate 20, PEG-80 sorbitan laurate, tetrasodium EDTA, citric acid, DMDM hydantoin, sodium hydroxide, propylene glycol, Yellow 5, Red 40, Blue 1. Dosage: In The Shower: Smooth on body with moistened hands, puff or washcloth. Gently lather, then rinse. In The Bath: Dispense into running water. For Shaving Legs: Use as a skin-smoothing shaving gel. You just can't go wrong with this bath and shower gel. It smells so nice. 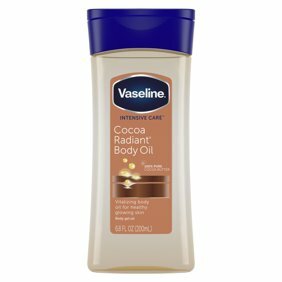 Makes my skin silky smooth and moisturized but not oily. It's economical to use as well. My mom gave this to me as a gift several years ago and I've been using it ever since. The after shower oil is also great and light. Makes my skin glow. This is a great body wash. The scent is so fresh and clean and lasts all day long. It is not drying and leaves your skin soft and clean. Gives a clean feeling and my skin look healthy. I am glad I got this 2 weeks back and since the time I started using my skin feels smooth and healthy. I have used this for years but haven't been able to find it in stores for a long time. That's why I ordered it so we could use it especially during the summer to keep us smelling good.